What better way to thank ourselves for a job well done than with a little good-for-you pampering? The Floating Lotus offers treatments that restore, revitalize and recharge our bodies. So, when we float out the door, we’re ready to float into whatever the day has in store. For best results, please allow hair to grow at least 1/4 inch long, or four weeks of growth after your last shave, before waxing. Please discontinue any Retin-A products on the area to be waxed for two weeks prior to waxing. Clients who have used Accutane must have ended use at least 6 months prior to waxing. *Does not include eyebrow waxing. Scheduled appointment times are reserved especially for you, so we ask that you notify us at least 24 hours in advance to change or cancel any service at no charge. If your appointment is not cancelled within this notification period, your appointment is considered confirmed. Any changes or cancellations made after the 24-hour window are subject to a charge for each service. The first time a late cancellation occurs, the charge is 50% of service. The second time, the charge is 100% of service. We will not book your appointment after the third time. This policy also applies to gift certificate holders and prepaid services. This refreshing coconut and mango body treatment is the ultimate in sensory pleasure. A light, dry-brush exfoliation is followed by a delicious Coconut Sugar Scrub which refines and hydrates. Next we apply an exotic Mango Enzyme to melt away rough skin and promote cell turnover. Cocooned in warm towels and blankets, you’ll relax even more you enjoy a scalp massage. This body renewal is topped off by a light massage with refreshing Coconut Age Corrective Moisturizer. The result? Nourished and balanced skin! Caring for your back is just as important as caring your face and limbs, especially during the summer, when exposed to more sun. This treatment, designed specifically for the skin on your back, will cleanse, exfoliate and treat this hard-to-reach area with organic products. This much-needed TLC will leave your skin softer, healthier and glowing. Your hands are exposed to as much sun as your face but usually remain unprotected, causing fine lines, discoloration and dark spots. This treatment begins with a customized chemical-peel solution applied to hands and removed with a warm towel. 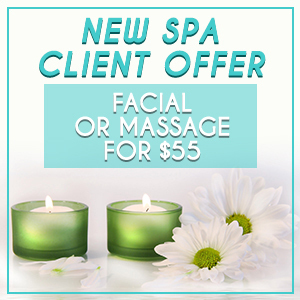 A relaxing hand and arm massage follows, using seasonal moisturizers or body oils. The result: moisturized hands with new, healthy cells brought to the surface. When booked in a series, this treatment helps fade dark spots and heal sun-related aging. A Reiki session is a great tool for stress reduction, relaxation and wellness. Reiki is a subtle form of non-invasive, hands-on energy work. It is not a cure for any disease or illness, but it may assist the body by creating an environment that facilitate healing. This classic, deeply calming Indian/Ayurvedic treatment is thousands of years old. Soothing warm oil is streamed over the forehead and massaged into the scalp. May relieve insomnia, headache, and mental and emotional tension. May also improve memory and increase blood circulation to the brain. Our spa services are by appointment only. Please call 501-664-0172 to make an appointment, or browse our online appointment schedule.